Conveniently located in Laguna Hills off Interstate 5(I5) and La Paz Road we offer introductory and beginner classes for those new to yoga, as well as a wide range of classes and workshops for students who already have experience with yoga. We proudly serve the communities of South Orange County and beyond, encompassing Laguna Hills, Mission Viejo, Lake Forest, Laguna Woods, Aliso Viejo, San Juan Capistrano, Laguna Niguel, Irvine, Foothill Ranch, Rancho Santa Margarita and Laguna Beach. Orange County Yoga Studio offers a warm and peaceful atmosphere to practice in, with experienced and friendly teachers. Our teachers introduce yoga in an orderly and progressive manner, teaching a rich diversity of postures – many of which are accessed through the use of props. Our schedule offers a range of classes from Align Yoga with a focus on precision of alignment and attention to the subtle aspects of posture and breath to dynamic Flow and Sculpt classes designed to sweat and tone the physical body. We also offers mindfulness classes to help break away from the stresses of everyday life and cultivate inner quiet including meditation and pranayama (yogic breathing), tea ceremonies and mindfulness workshops. 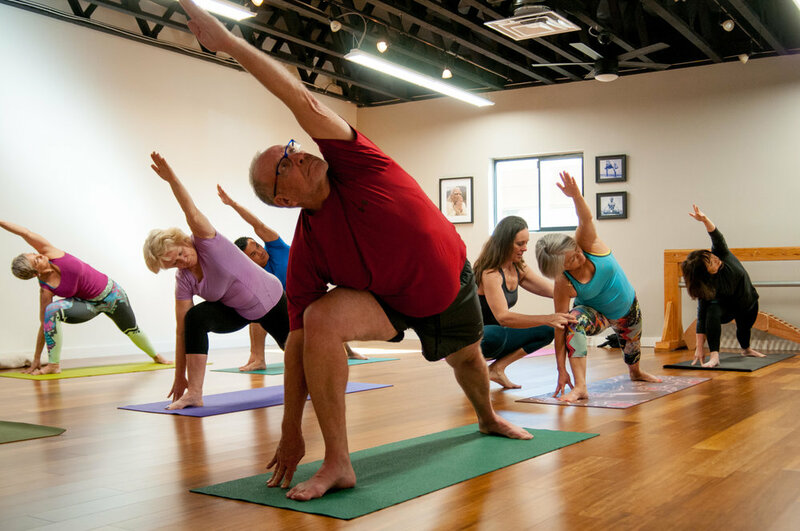 The classes, workshops and course series at Orange County Yoga Studio enhance our students' lives by instilling greater awareness and a balance between strength, flexibility and endurance. Our hope is to empower individuals to align themselves physically, mentally, emotionally and spiritually so that they can live a more conscious, productive and peaceful life.